On January 26, 2019 Special Adviser to the Prime Minister Mitsuhiro Miyakoshi visited Kumejima. 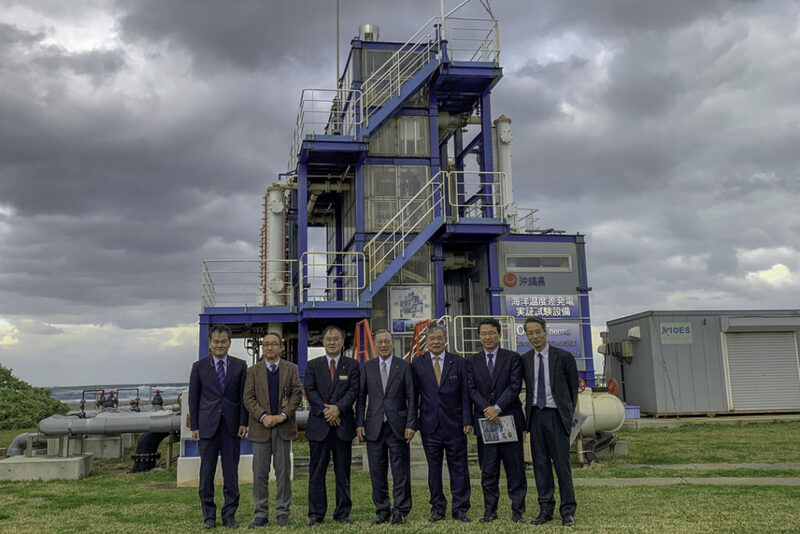 While on the island, he visited the Okinawa Prefecture Deep Seawater Research Center (ODRC), Ocean Thermal Energy Conversion Demonstration Facility, Deep Seawater Related Industries, the “Jinbunkan” Education Center, and Sugar Factory, among other locations. During the tour of the deep seawater facilities, Professor Ikegami of Saga University and Director Kubo of the ODRC explained the facilities through posters and presentations, followed by questions. As it was the minister’s third visit, the questions concerning deep seawater use were mainly technical. There was also discussion on the country’s promotion of marine renewable energy.